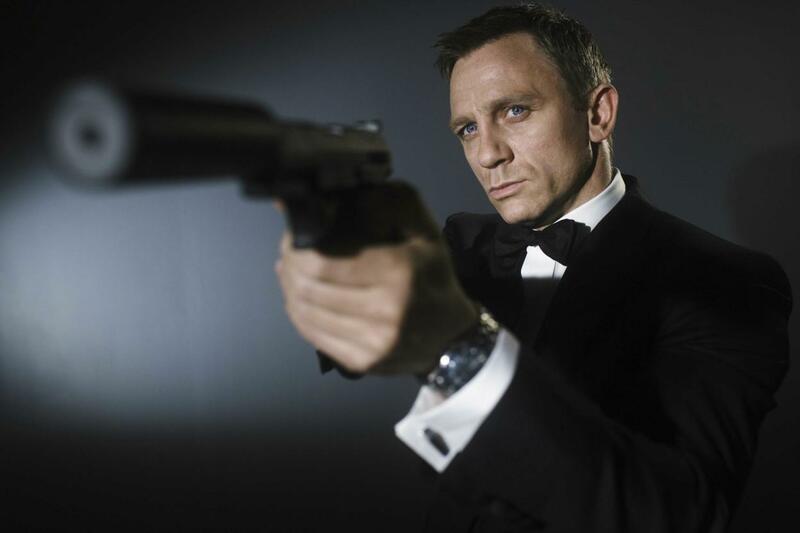 Editor’s Note: In honor of Quantum of Solace being released today, AoM contributor Cameron Schaefer has put together this rundown of Bond’s most manly qualities. Admit it, if you’re a man, you’ve thought about how cool it would be to spend a day in the shoes of 007 himself, “Bond, James Bond.” The cars, adventure, beautiful women, and all the ridiculous spy gadgets. Seriously, who wouldn’t enjoy sporting a wrist-mounted dart gun? But, there’s something else that attracts us (in a manly way) to Bond. It’s not just the lifestyle and accessories, it’s how he embodies so many of the qualities that we admire in a man. Confidence, strength, self-control (with one glaring exception), independence, and charm mixed with a bit of brute force. He seems to hold the world in his hands, but he’d just as easily give it all away. Starting with “Dr. 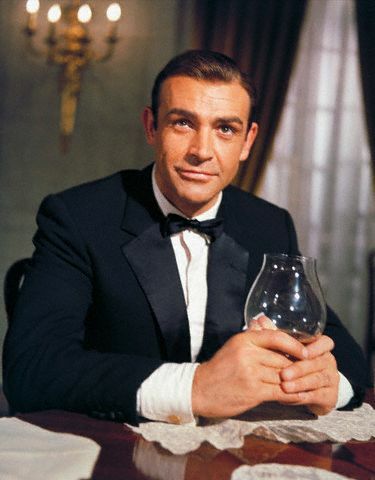 No” in 1962, each incarnation of Bond, from Sean Connery to Daniel Craig, has given men a look at how to live the high life, one of sophistication and grace, but far from gentle. The following are some lessons that every man can take away from the life of James Bond. 1) Finish What You Start. A man can be counted on to complete the mission, whatever it may be. Anyone can start something, but very few can consistently finish. 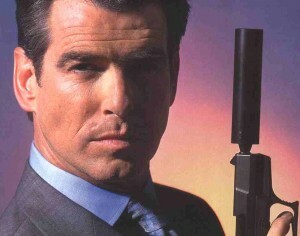 James Bond shows us that determination isn’t an optional part of manhood, it’s required. Think of the men in your life you look up to. Chances are they are people you can trust to do what they say. These are the people we follow, model, and celebrate. For them, how one starts the race isn’t nearly as important as how one finishes. When things get hard and go wrong, it doesn’t cause them to throw in the towel, it only pushes them harder. In the same way, Bond is a closer, something for which all of us men should strive. 2) Dominate Technology. Bond is a man that keeps up with the times. He is a master of the current technology and gadgets, but never their slave. You won’t find Bond spending hours each day frivolously texting away or sporting a permanent bluetooth headset. Wherever Bond is, he is ALL there, not constantly sidetracked by his Blackberry. He uses technology when he needs it and chucks it when he doesn’t. Technology can be a great asset, but like many things it can often warp into something we can’t live without. In doing so, it takes a place in our life that it has no business taking. Bond is the type of man that keeps tech in it’s proper place- a place of servitude. 3) Know Your Enemy – Like any good practitioner of war, Bond never enters a battle without knowing the intricate details of his enemy. Not just who he is, but how he thinks, what he desires, what he fears and how he can be exploited. For Bond, and for all men, sometimes the enemy is quite obvious, while at other times they cleverly hide their ulterior motives. Your enemy could be a business rival that is seeking your destruction or even some type of character assassin like an addiction, a weakness, or a character flaw. Regardless, knowledge is key to victory in any of these areas. Identifying the enemies in your life, learning their ins and outs, and defeating them at every turn is something Bond understands and all of us should as well. 4) Dress to Kill – For centuries, part of being a man meant dressing well for every occasion. Suits, hats, collared shirts and well-fitting trousers were a necessary part of living well. Somewhere along the line it became acceptable for a man to leave the house in baggy sweatpants, t-shirt, and a baseball cap. You might be saying, “But I’m a man, only women care about how they dress.” To you Bond would reply, “You’re an idiot, kind sir, ” as he walked off with your girlfriend. How a man dresses says something about him and men who dress well exude and inspire confidence. So ditch your old, ill-fitting rags and invest in a quality wardrobe. After all, the first step towards being Bond is dressing like him. 5) Know How to Handle Your Weapon – Bond, understands the value of having a firearm and knowing how to use it. 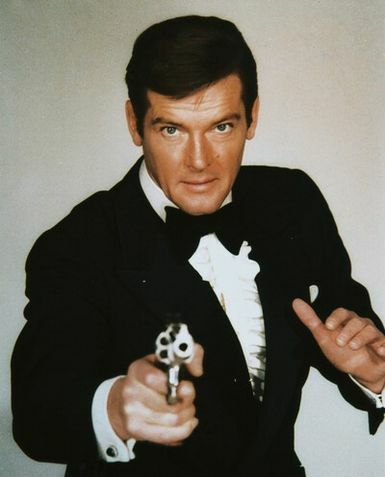 While he only discharges his weapon when absolutely necessary, 007 is well-equipped to defend himself and those around him when the situation arises. Becoming a skilled firearms user doesn’t mean you need to turn your house into a one-stop armory. Simply stopping by the local gun range every once and awhile and/or taking a gun safety class can make a big difference. Also, a man should know how to properly clean his gun. After all, a quality weapon is a valuable tool, but it is only as good as the person operating it. 6) Stay Cool – Remember that one segment in the last 007 movie where Bond cracked under the intense pressure of his mission? Me neither. Bond shows us that being a man means staying cool under pressure. Life is tough for everyone; get over it. Great men have the inner fortitude to handle themselves with confidence and self-control even when the world around them is crumbling. Part of dealing well with stressful situations is being prepared for them. Bond is able to remain calm because of his past training and experience. Apart from training, playing competitive sports is a wonderful way to learn how to handle stress and prepare for battle, whether it be against the “Man With the Golden Gun” or simply the young hot shot competing for your job. Any other lessons men can take from James Bond? Drop a line in the comment box and add to the discussion. 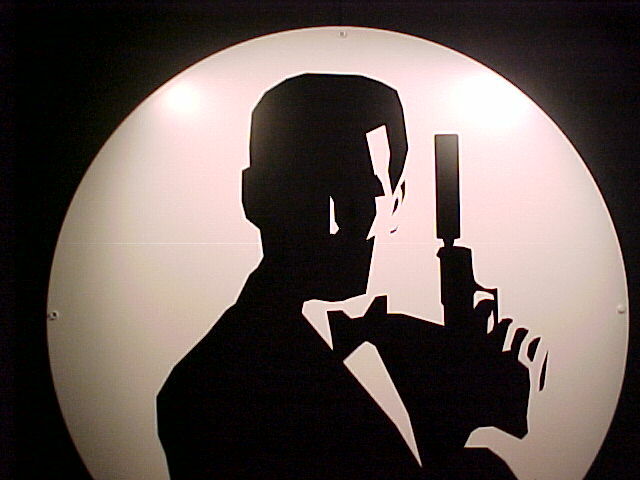 And just for fun, share your favorite Bond movie and favorite incarnation of Bond with us as well.